In the heart of one of England's prettiest medieval villages within the Exmoor National Park stands the Luttrell Arms, dating back to the 13th century. This award-winning hotel offers beautiful bedrooms, each with their own individual style alongside a 2 AA Rosette awarded restaurant, a bar with open fires and comfy seating and picturesque gardens. In the heart of Dunster, the medieval village that is seen as the gateway to Exmoor National Park, you will find Dunster Castle Hotel. Just metres from the castle entrance, the 18th century Dunster Castle Hotel offers bedrooms designed to blend the original character and charm of the building with the luxurious comfort expected by modern travellers. 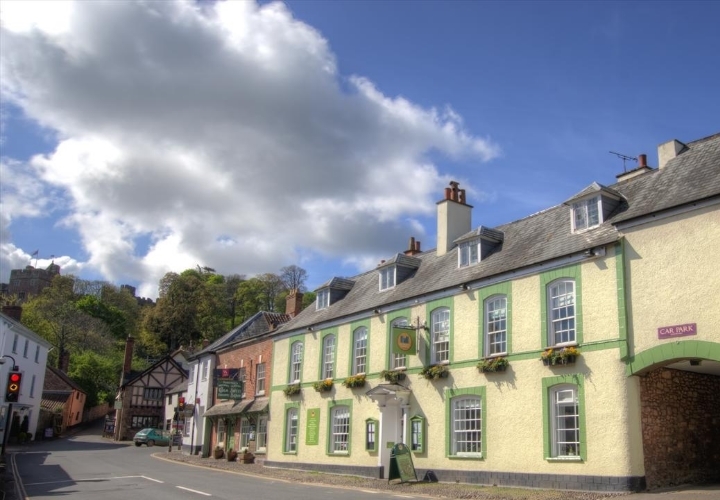 The beautiful restaurant offers a casual yet elegant experience and the bar offers a place for you to relax after a day exploring beautiful Dunster. 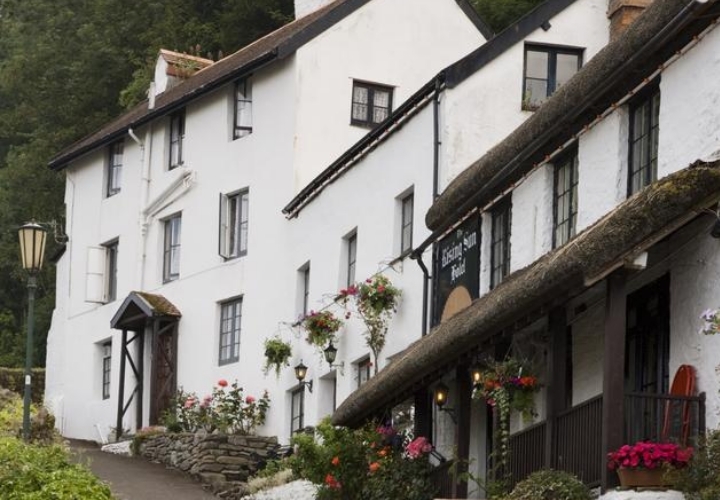 In the heart of Exmoor National Park, on the banks of the River Exe, is the 16th century Exmoor White Horse Inn. 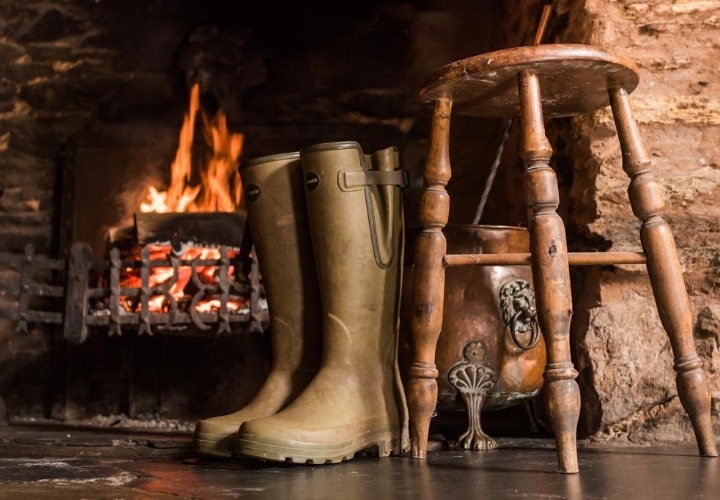 Original features add to the charm and character of this quintessential Exmoor inn, alongside log fires, a choice of over 200 malt whiskies, a selection of local real ales and individually designed luxurious bedrooms. Looking to visit Lynmouth Bay? You couldn't find a more charming, historic or better located inn than the Rising Sun. This thatched 14th century inn has been converted from fisherman's cottages and boasts many original and quirky features from low beams to crooked staircases. The inn offers comfortable bedrooms with luxurious bathrooms and an oak-panelled restaurant serving classic British dishes. 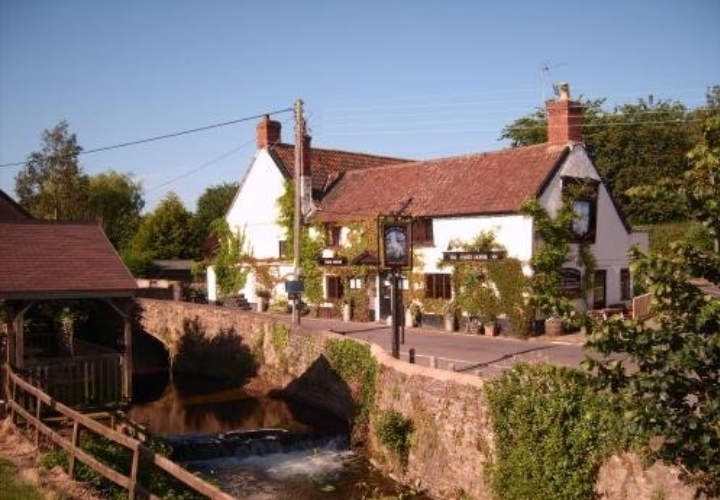 This beautiful inn on the edge of Exmoor National Park offers Somerset's finest ales, beers and ciders alongside delicious homecooked food and stylish accommodation. With open fires in the winter and a beer garden bounded by a bubbling stream, this is an inn for all seasons. 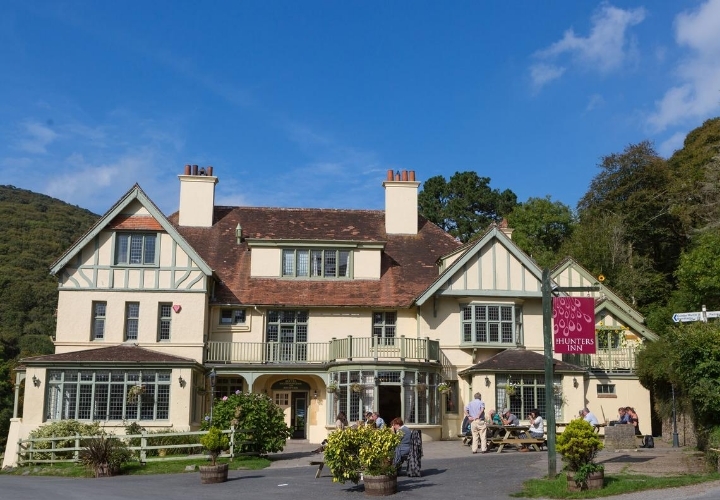 This quintessential Exmoor inn set within 4 acres of beautiful gardens boasts charming accommodation, a seasonal menu with classic pub favourite dishes and home-brewed ales. 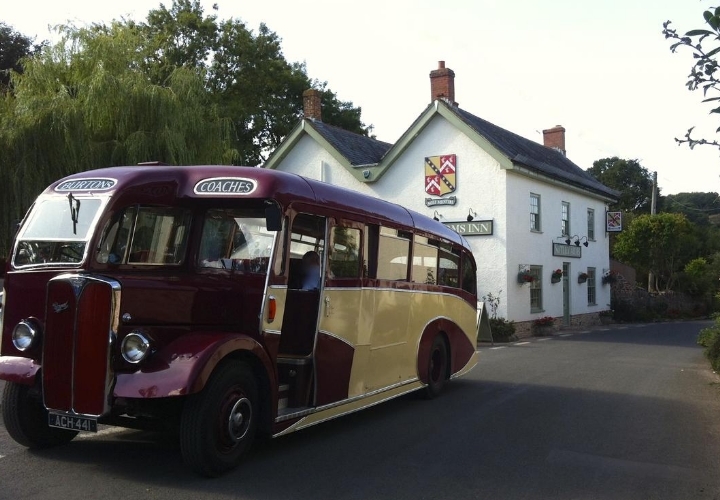 Set in the village of Luxborough, a quaint village on Exmoor National Park is The Royal Oak. This 14th century inn boasts original features such as rugged stone walls, open beams and fireplaces. The bedrooms combine original features with modern comforts and style. 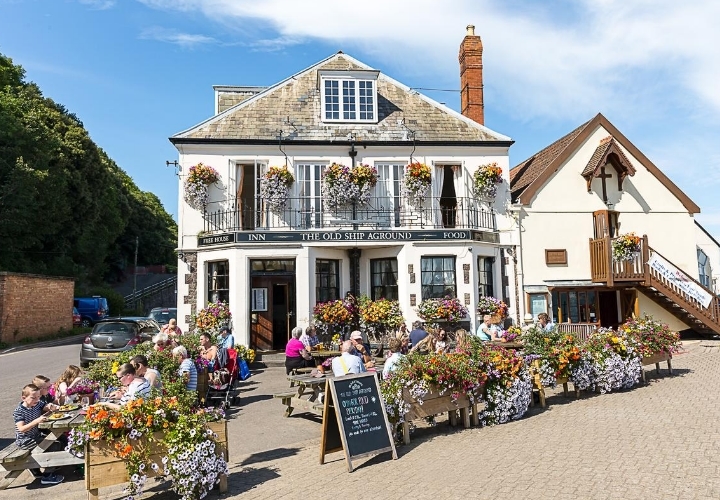 This Edwardian pub, located on the harbour in Minehead, is within a short drive of Exmoor National Park. With idyllic views over the harbour, The Old Ship Aground boasts comfortable bedrooms and a menu that if it is not grown or raised on the owners farm, is sourced from local suppliers. 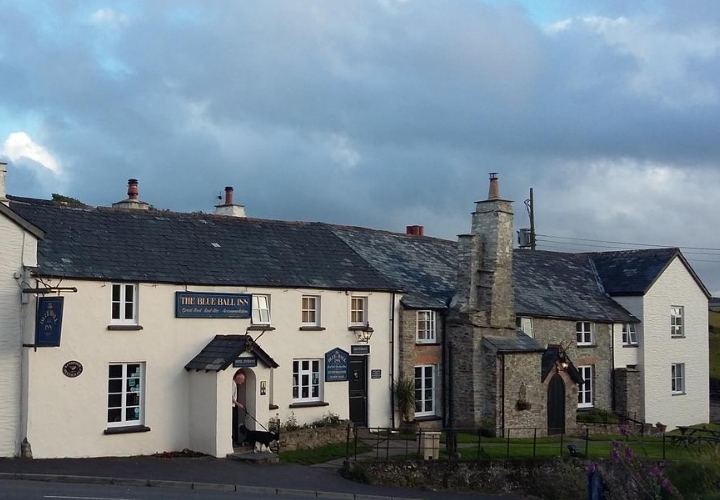 Located on the old coaching route from Porlock to Lynmouth, The Blue Ball Inn is a traditional 13th century, dog-friendly coaching inn not far from the coast in Exmoor National Park. The restaurant serves traditional British dishes with local Devon specialities whilst the bedrooms offer comfortable accommodation. 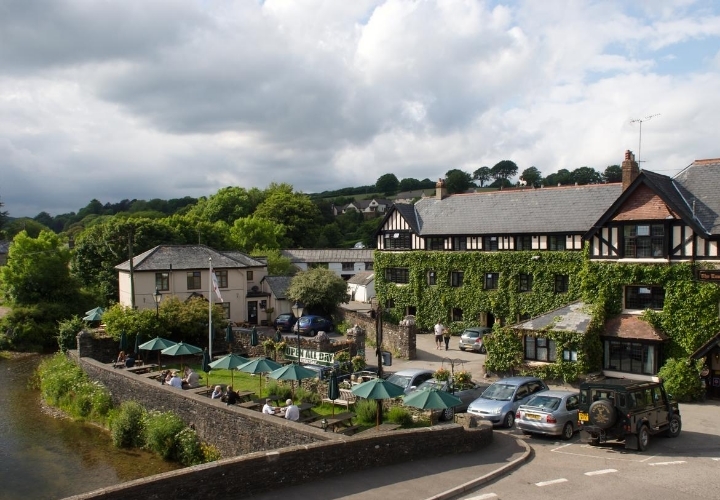 With a stunning riverside location on the edge of Exmoor National Park is The White Horse Inn, a traditional 17th century village inn offering great pub food, a good selection of drinks and recently modernised bedrooms. Welcome to Exmoor National Park! This stunning region boasts remote moors and valleys, sleepy villages and best of all, some glorious country pubs and inns! Exmoor is famous as the setting for R.D. Blackmore's novel 'Lorna Doone'. Discover the isolated valley, home of the outlawed Doone family in the book; head for Malmsmead just 4 miles or so south of Lynton. Take a stroll along the river and discover some excellent spots for a picnic. Exmoor is also famous for its free roaming, native Exmoor ponies, perfectly adapted to the upland countryside of the moor. The region also boasts a magnificent coast. Take a trip on the unique Victorian water powered cliff railway, linking Lynton and Lynmouth. Explore the Valley of the Rocks, half a mile west of Lynton, where wild goats roam and cling to the cliff edges. Visit the small historic harbour at Porlock Weir. Minehead is the largest town in the area and is home to the West Somerset Heritage Steam Railway. The South West Coast Path, very popular with walkers, starts here at Minehead and follows the stunning Exmoor coastline. 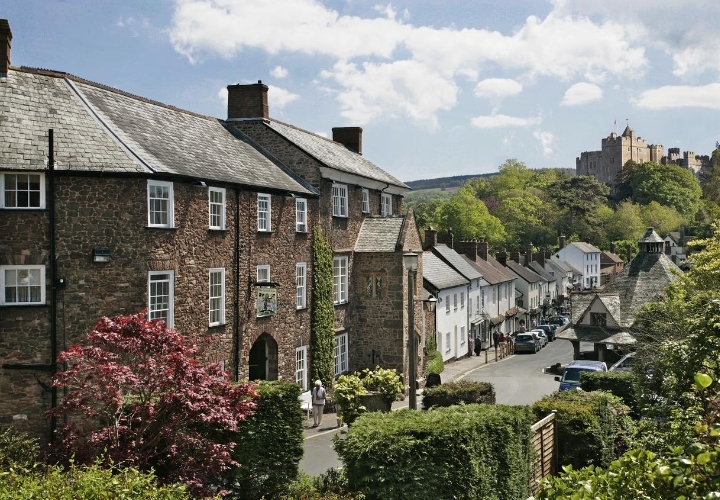 "A visit to Exmoor would not be complete without a trip to Dunster. This medieval village is dominated by its ancient castle, now in the care of the National Trust. The village boasts over 200 listed buildings, including the unusual, eight-sided 17th century Yarn Market, the former market hall. Take a stroll down the main street to the edge of the village where you will find the ancient packhorse bridge, Gallox Bridge, surely one of the most beautiful - and most photographed - places in Exmoor!"